David Spreadborough, Amped’s international trainer and ex-officer at Cheshire Police for 24 years, tells Police Oracle how Amped Authenticate is designed to help law enforcement underpin the veracity of images submitted to them externally, allowing officers to apply the appropriate level of ‘weight’ to evidence. 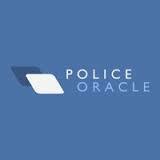 Read the article on Police Oracle or click here. This entry was posted in Announcements, Authenticate, Press / Media on May 17, 2017 by Darlene Alvar.